Red for the right hand, black for the left hand. 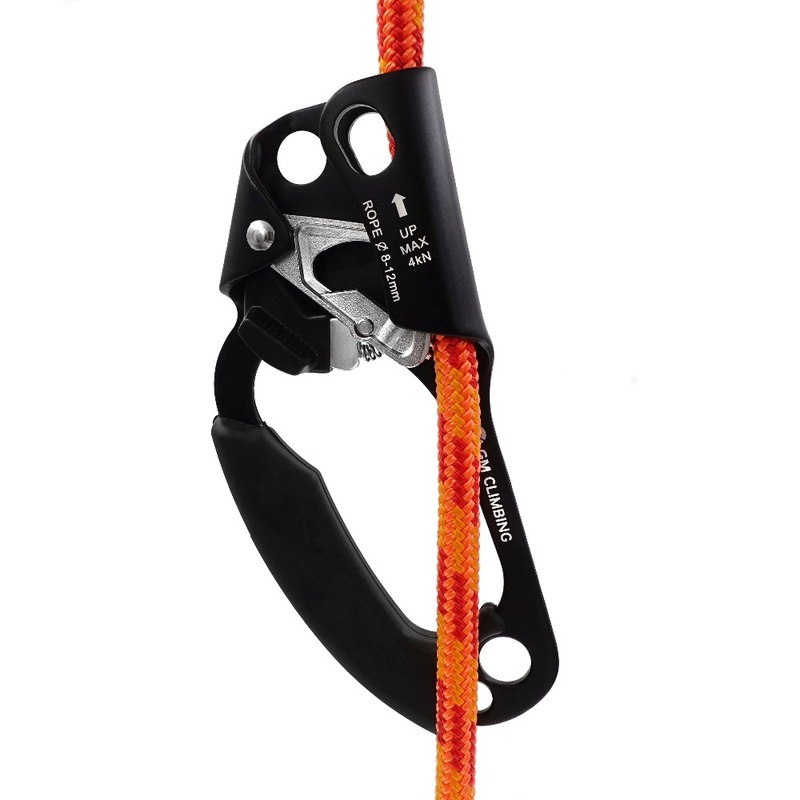 Both UIAA and CE Certified, widely used for Single Rope Technique Climbing (SRT climbing) and tensioning /rigging/hauling/ pulley system. Rather than metal material, the safety catch made of solid rubber allows an operator to easily manipulate the cam system with the thumb. Increased friction let you have a firm control even with thick gloves. 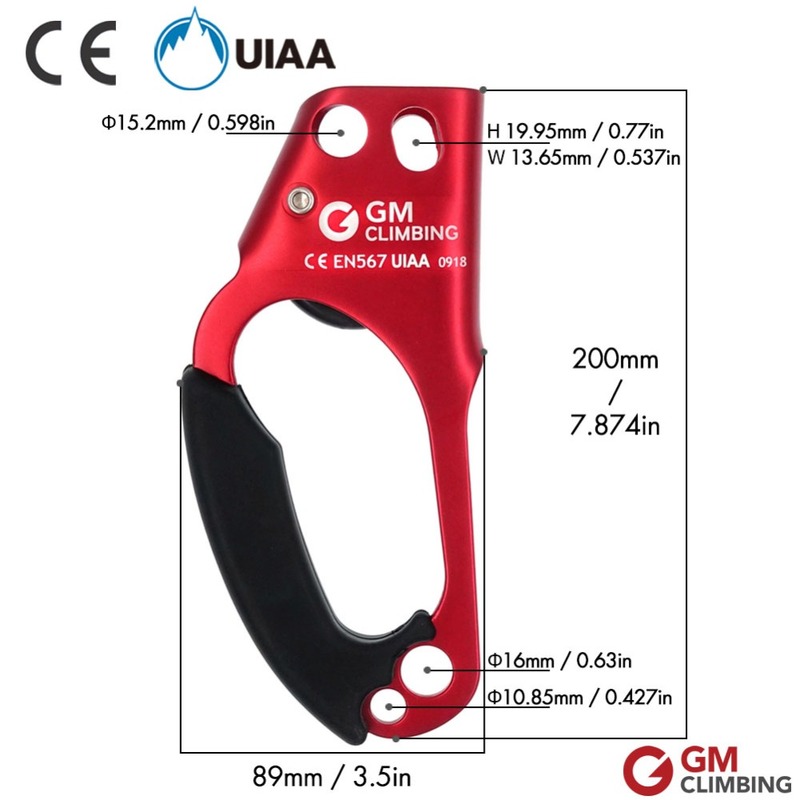 The ergonomic thermo-moulded rubber handle and its ample inner space provide excellent comfort according to your grip habit to keep from fatiguing even in a long time single rope climbing. The function cam is made of stainless steel to have a firm grip even in icy or wet condition. Due to the material’s great property, the cam can handle most any situation. Ascender usually acts as a part of the system which gathers different gears and let them have to connect. Different purposes decide the connection types. There are 2 hole attachments in both upper and lower side of ascender to let operator put to great use.